Many have thought for years that trees are to blame for acid rain and now we have evidence that backs it up. Up to half of the acidity in rainfall over the US in summer does come from compounds given off by plants. Here is how it works. Formic acid is produced from burning fossil fuels and biomass, also when plant compounds called terpenoids are oxidized by sunlight. The latter contributes to acid rain in remote regions and most of it ends up in the atmosphere, compared to what we could trace back to the source. Until now that is. Thanks to satellite data we now know that more than 100 million tons of formic acid is produced naturally every year. No one had any idea that it could be so much. That number is 10 times the total from all known sources combined. Interestingly, the highest densities are found above tropical and northern boreal forests during the spring growing season. It was once thought that ants might be a missing source, but the cause was narrowed down to terpenoids using lab studies and modeling. 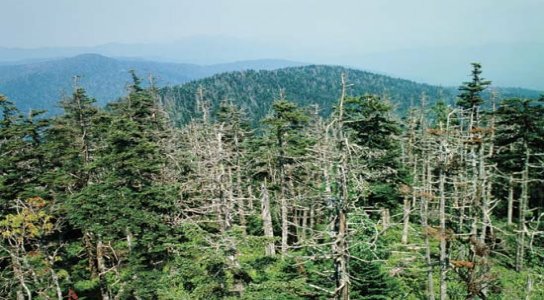 1 Comment on "Trees are a Culprit When it Comes to Acid Rain"
The same rain/winds blowing from the midwest produce heart attacks and asthma attacks in the northeast. I don’t know if the pollutants are exactly the same, but they also stem from the power plants. These effects are documented. Every time someone mentions lowering the pollutants in the atmosphere, we get the same story – electricity will cost more. People would pay not to get asthma and heart attacks. They’d pay to reduce acid rain. The auto manufacturers said the same thing about seat belts, air bags, antilock brakes, etc. ad nauseam. That’s the only reply industry ever makes to the the knowledge of the harm caused by their pollutants or their designs. No one doubts we need electricity, but its production shouldn’t kill us or the earth we live on.